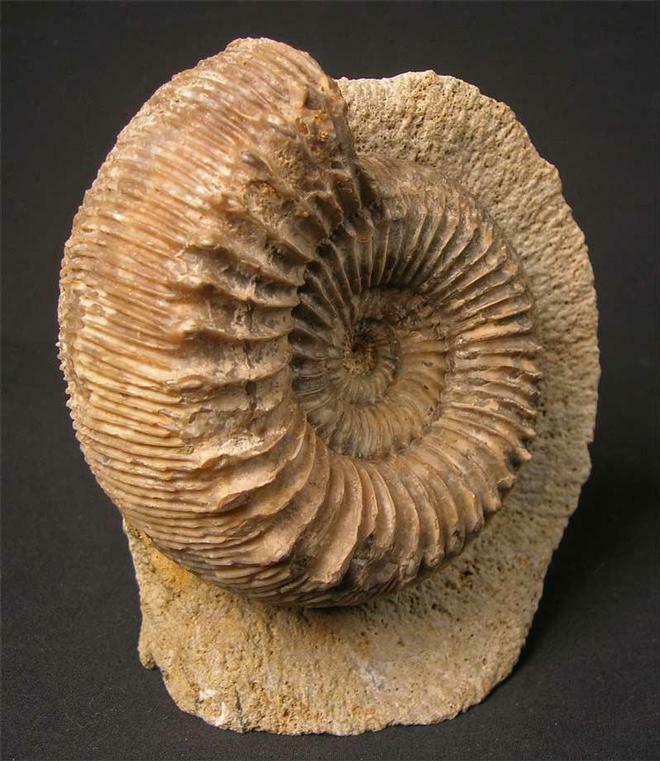 A fantastic example of this very rare Oolithic ammonite. Many hours of preparation have gone into this specimen. 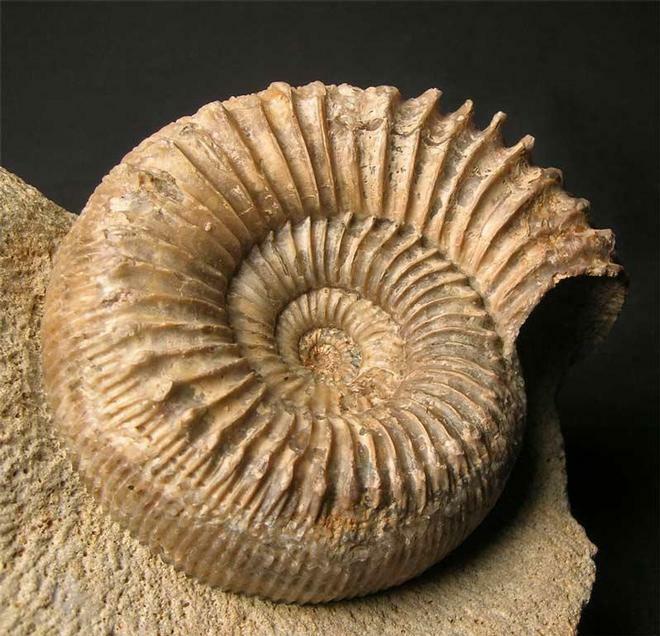 The ammonite itself has been preserved in solid calcite and has an immaculate centre, also many spines and all ribs preserved. 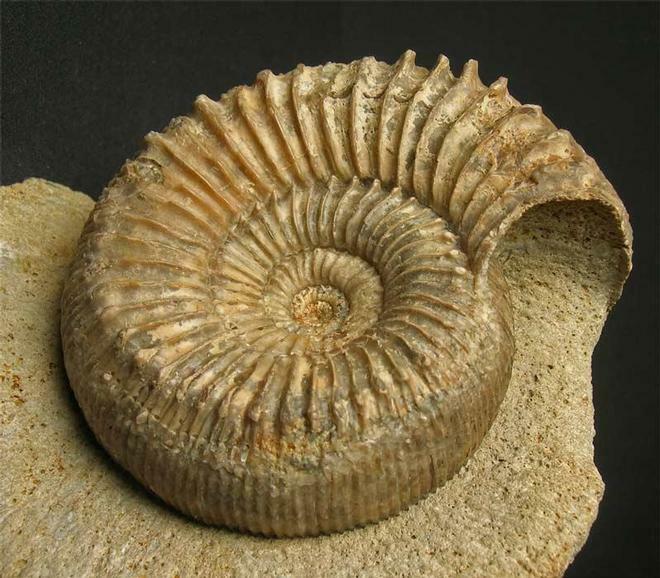 The specimen was collected in 1985 and the locality is no longer accessible to the collector. 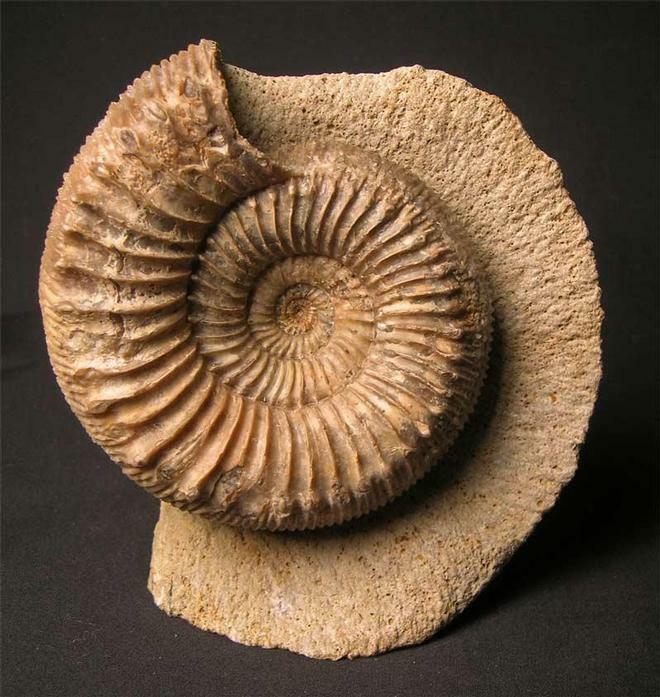 This type of ammonite very rarely comes up for sale on the open market especially ones of this calibre. The matrix has a cut base for ease of display. One for the serious and discerning collector. Approximately 168 million years old.